Contraptions like the SodaStream let you mix up your own carbonated beverages at home, but the devices are far from portable. And carrying a six-pack or bottle of soda when camping is extra weight you don't need. Thankfully an enterprising gent named Pat has created a powdered beer and soda alternative that can be hydrated and carbonated using nothing more than a lightweight plastic bottle. Since they leave out all the water during transport, Pat's Backcountry Beverages are light and easy to travel with. 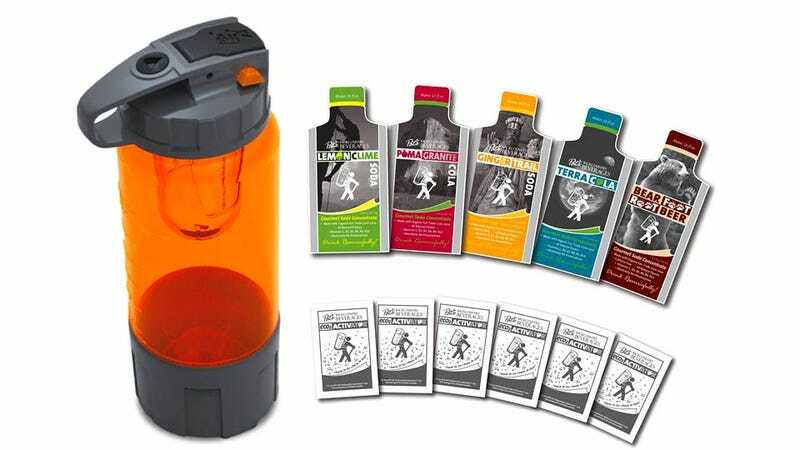 Besides the bottle, all you need to carry is a couple of pouches containing the dried drink mix and carbonating agent. The specially designed bottle features a pump on the lid for pressurizing its contents, and apparently all that's needed is a bit of vigorous shaking to whip up a batch of carbonized soda or beer. Update: The Backcountry Beverages soda will be available at the end of August, but the beer is slated for a Q1 2013 release. And it's actually not a dehydrated powder, but a concentrated liquid that's brewed with less water for this purpose specifically.